In the previous article we saw how a voice is defined in sound synthesis and how it can gather several oscillators without that necessarily meaning that the synthesizer in question is polyphonic. So how is polyphony defined then? Polyphony is the ability of a synthesizer to generate several voices simultaneously, each with its own sound production (oscillators) and processing (filters, amplifiers, envelopes) chain. The principle in itself may seem simple: In theory, you only need to multiply a single voice as many times as you want, right? But it actually is more complicated than that. Moog certainly paid the price for it in 1975 when it brought out the Polymoog, the first-ever really polyphonic synthesizer, which unfortunately was never able to become the worthy successor of its mono synth, the MiniMoog. The PolyMoog had 71 keys and featured total polyphony for all of them. But the complexity that this architecture entailed made the manufacturing of the unit extremely expensive and its tendency to break down extremely high. Other solutions had to be found. And the one that was chosen was to limit polyphony. 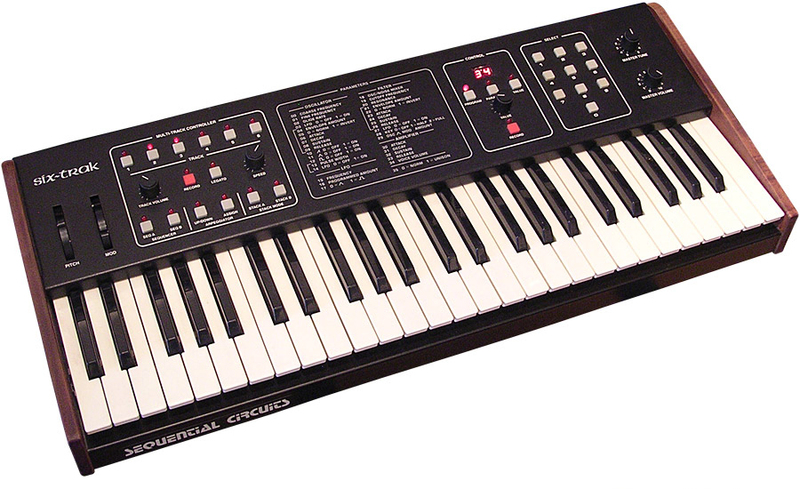 Take, for example, the celebrated Sequential Circuits Prophet 5. It had only five voices of polyphony, with two oscillators per voice. However, its keyboard had 61 keys, which raised a thorny issue: How to determine which keys the few voices available were going to be assigned to. The solution, for this and many other synths, was only possible thanks to the development and introduction of digital technology, the only one that allowed for such level of complexity while remaining economical and effective at the same time. The first element in the system is the keyboard's scanner circuit, which works in the following way: For a 61-key synth ─ numbered from 0 to 60 in decimal system ─ a six-bit binary number allows the individual recognition of each key ─ six bits actually allow identifying up to 64 keys (from 0 to 63) in total. Each key is assigned a binary number, which serves as a sort of license plate. For example, the "0" key (the keyboard's first C) is identified with "000000," while the "license plate" of the seventh key (the first G) reads "000111"...and the 60th key (which is actually the 61st, right?) is "111100." A counter scrolls all 61 key IDs continuously in loop, "activating" each note one at a time, but without triggering them. To trigger a note, the corresponding key of the keyboard must be pressed. This is detected by a 7th bit, called status bit, which sends a "0" if the key is not engaged or "1" if it is. The combination of this status bit and the key's ID allows the synth to immediately know which key was pressed. The second element is the voice allocation system, which allows the synth to assign the pressed keys to the voices available. When the keys pressed exceed the voices available, notes start disappearing, since the voices they were assigned to are redistributed to other notes. Today, the developments in terms of computing allow synth manufacturers to greatly increase the number of polyphony voices, which can go up to 128 for synths that are all-digital. An article about polyphony wouldn't be complete without talking about paraphony. Say what? Well, it's a somewhat particular system that had its best years before the advent of real polyphony, and which is nowadays used by some modern analog synths, like Waldorf's Pulse 2. A paraphonic system is based on a monodic architecture (one note or voice at a time) to simulate, to some extent, a polyphonic one. 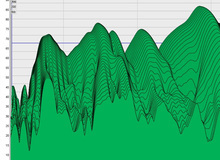 In the last article we saw that you can often have several oscillators for one single voice. In a strictly monodic system, all oscillators are triggered at the same time when pressing a single key. In a paraphonic system, each oscillator can be triggered individually by a different note, however, the signals produced follow the exact same processing chain, like in a monodic system. For example, if you play a C and you wait for the attack and decay times of the amp envelope to elapse to play a G, while still holding the C, the G will overlap the C, but it will incorporate itself into the sustain time of the latter's envelope, without triggering a new envelope in turn. It would be inconceivable not to address multitimbrality before wrapping up these two articles on voices and how they are handled. Multitimbrality is the ability of an electronic instrument to simultaneously generate not only different types of sounds, but also clearly differentiable filter and amplification envelopes for them. "But isn't that the definition of polyphony?" you'll ask. Not quite, because while in a polyphonic (and not multitimbral) synth all notes played simultaneously trigger their own envelopes individually (unlike in a paraphonic system), the settings of the latter are identical for all of them. One of the first multitimbral synths was the Six-Trak by (once again) Sequential Circuits. It was a sample-based synth whose sounds could be layered to be simultaneously triggered or spread across different sections of the keyboard. The latter allowed the user to play a bass sound with the left hand while playing a solo with the right hand using a piano sound, for instance. The voices available were distributed among the sounds used or, to be more precise, among the different MIDI channels. And now that we mention it, what is MIDI exactly? We'll get to that in the next article. Wimpy Snare? Muffled Kick? Lousy Drum Part? There's Hope!